Many Freeview viewers could be affected by weak signals this week, which may cause reception problems. Engineering work at a number of main TV transmitters across the UK this week, making the most of the settled weather, mean that in some areas, Freeview services will broadcast at lower power, leading to some loss of service in places. Data from Digital UK, the platform manager for digital terrestrial television in the UK, indicates viewers in Cumbria, East Anglia, the Midlands, NE Wales, NW England, Northern Ireland, Reigate, Scotland SW Cornwall and West Sussex may experience issues this week. 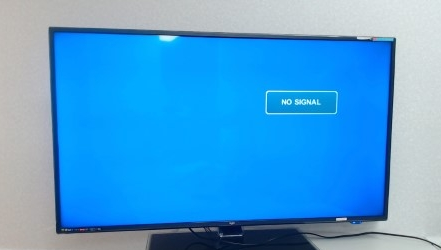 With the exception of viewers in the Anglia TV region, viewers should regain signals once the engineering work is complete, without the need for retuning. In the Anglia TV region, frequency changes mean a retune is needed in some places after 6am on Wednesday 6th June 2018 to restore any missing channels. Much of the engineering work at transmitters taking place across the UK is linked to changes to TV frequencies, which must be completed on a region-by-region basis by 2020. Across the Granada TV region, the Winter Hill (Lancashire) transmitter is subject to engineering work resulting in reduced power. In North East England, the main transmitter for Tyne & Wear and County Durham at Pontop Pike is subject to reduced power and weak signals. In Cumbria, the area's main transmitter at Caldbeck is also affected. This may also affect viewers over the border in parts of Dumfries and Galloway. In the Midlands, the region's main transmitters at Waltham, Sutton Coldfield and Ridge Hill, which serve most of the East, West and SW Midlands are subject to reduced power leading to a weak signal. The London region transmitter at Reigate is also on the list of affected transmitters this week. Across Scotland, the two main transmitters serving the central belt, Black Hill and Craigkelly, are subject to spells of weak signals caused by reduced power. Further north, viewers receiving from the Angus transmitter are liable to weak signals. In Northern Ireland, the main Divis transmitter, which overlooks the Greater Belfast area, is subject to engineering work causing reduced power and weak signals. Over in Wales, the Moel-Y-Parc transmitter, which serves households in North East Wales is also liable to spells of reduced power. Down in the south west corner of Cornwall, work at the Redruth transmitter may cause breaks in Freeview reception. In West Sussex, engineering work at the Midhurst transmitter could affect some viewers. And in the Yorkshire town of Scarborough, there's engineering work scheduled at the Oliver's Mount transmitter this week, which could temporarily affect reception. Lastly, in the Anglia region, engineering work involving a change in frequencies in some areas may result in a temporary loss of service. Viewers who have lost services are being advised to retune after 6am on Wednesday 6th June 2018. For viewers in other areas, retuning is not advised: any missing services should automatically return once power levels at transmitters return to normal. In addition to the above changes affecting main transmitters, some relays in these areas could also be impacted.